Last night I sat down to write a blog post. I started with lettuce in mind and instead ended up writing about how much I love North Dakota winters. I’m not crazy, really. I’ve just been working with a lot of really great people lately. You see, I’ve been working with the local foods people. When I work with folks who grow vegetables or raise pastured livestock, I find myself empowered. There is just something that is catching. Albeit, my passions include food and nature, but there is more to it than that. These small producers are like poetry in motion. They are the change they want to see in the world. Food people are good people. And the more I experience their unwavering optimism and unrivaled tenacity, the more I am in awe. I secretly (or maybe openly) want to be like them. In ways, maybe I already am. Maybe that is why I feel their optimism the way I do. So maybe it makes sense that I sit down to write about growing food and end up writing about what a wonderful place I have come to call home, even if it is crazy cold. Here in North Dakota we just broke through a viscous cold snap, delivered straight from the arctic tundra. It’s the first week in January. And what is my Facebook feed buzzing about? Discussions of seeds, garden planning, greenhouses, and new opportunities. It makes me know that life is good. Truly. It lets me know that all things are possible. It gives me courage. When I purchase lettuce from the store that is less than mediocre, I know there is something I can do. You see, this is really the point that I come full circle. I grew up watching my grandparents garden, but did not have much practical know-how when I began gardening. I had a bit of a rocky start. I planted my first garden in the summer of 2008, but I was no longer living in the Midwest. I was on the high plains of Wyoming, at an altitude of 7,165 feet. The summer was short. The air was dry. The nights were chilly. I started out by planting snow peas, radishes, tomatoes, zucchini, eggplant, spinach, kohlrabi, and lettuce. The dog ate 75% of the peas. The radishes were woody. Early in September the frost came and we enjoyed a harvest dinner of fried green tomatoes and sauteed baby squash. The eggplants were infested with aphids (I shudder, just thinking about that experience). The spinach went to seed by early July. And it turned out that I really don’t care from kohlrabi. That pretty much leaves the lettuce. Oh, my sweet precious lettuce! I planted at least twelve different varieties in a partially shady area next to the neighbor’s garage. I grew green leaf, red leaf, some varieties were pale green and others were purple. Some had leaves shaped like oaks. They were anything but plain old lettuce. They were beautiful. We harvested frequently and planted new seeds often. I’d go out at dusk to water and sing to them. (Okay, I didn’t quite have the courage to sing… I hummed to them.) I cried the night we got hit with a hailstorm. And I had a full blown anxiety attack when a crew repaired the neighbor’s garage roof. I picked shingles and roofing nails out of my lettuce garden for months to come. While I melted down, the lettuce rebounded. They certainly provided us with a summer of delicious salads. But there was something more to it. They gave me hope. They assured me that I could grow something. They brought me joy. Pure and simple. I loved seeing them. And somehow I forgot that? I did not grow lettuce last year. I don’t know why. I made room for spinach and kale and chard, but I neglected my wonderful old standby. Then one chilly North Dakota evening, I curled up on the couch with a blanket and some of my favorite light reading material: the seed catalogs. My absolute favorite to look at is the Seed Savers Exchange. This catalog offers heirloom varieties of seeds. As they were passed down from generation to generation, the seeds became attached to family stories. There are unique varieties of tomatoes, squash, peppers, onions, potatoes, and even lettuce. So I was browsing through the catalog, trying to be quite sensible about what the garden might look like this year. Then, I came to lettuce. I was physically stunned. I ooh-ed and aah-ed over the variety. I adored the colors and imagined the textures. I tried to regain my composure. 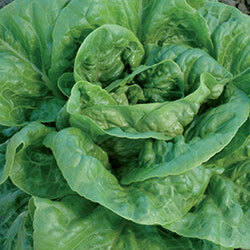 How could we ever eat all the lettuce I wanted to grow? Something clicked. In October I began taking a class called Farm Beginning through FARRMS. A non-profit within the state that “Grows Farmers,” so to speak. In the class, we learn about holistic management, food safety, and business planning. We learn how to pull our crazy ideas together and get moving on our dreams. So maybe I don’t need professional help regarding my obsession with lettuce. What I need is a business plan and a greenhouse! I’m going to grow lettuce! We don’t have to eat it all ourselves! I could sell it at the farmers market. I could supply a local restaurant. Maybe I could even sell it to the grocery store and solve the problem of less than mediocre lettuce in the winter once and for all! Posted in Cultivating the Soul, Nurturing Nature and tagged business plans, Entrepreneurship, Farmers Market, gardening, lettuce, local food, north dakota, personal growth. Bookmark the permalink.